Why are Pumpkin Seeds a skin superhero? Pumpkin seeds are known to be super rich in fatty acids, generally you’ll recognise the seeds being sprinkled over your breakfast in the mornings or snacked on during the day to up your Omega intrinsically. Carrying high levels of natural AHA’s, Vitamin A / B6 / C this simple ingredient does wonders for your skin, hair & nails from softening and smoothing to stimulating cell turn over, brightening the surface of the skin, boosting collagen and all round glow enhancer! Will Pumpkin Seeds work with my skin type? As with some products it’s trial and error as to whether your skin takes to the ingredient or doesn’t. That being said I have used Pumpkin Seed Oil, exfoliants & masks on my clients with all skin concerns and found fantastic results. Where can I find Pumpkin Seed products? Facial oils / exfoliants / masks / cleansers .. you can find pumpkin seed reminiscence in most types of product. I have listed a few of my chosen Pumpkin loving products below. 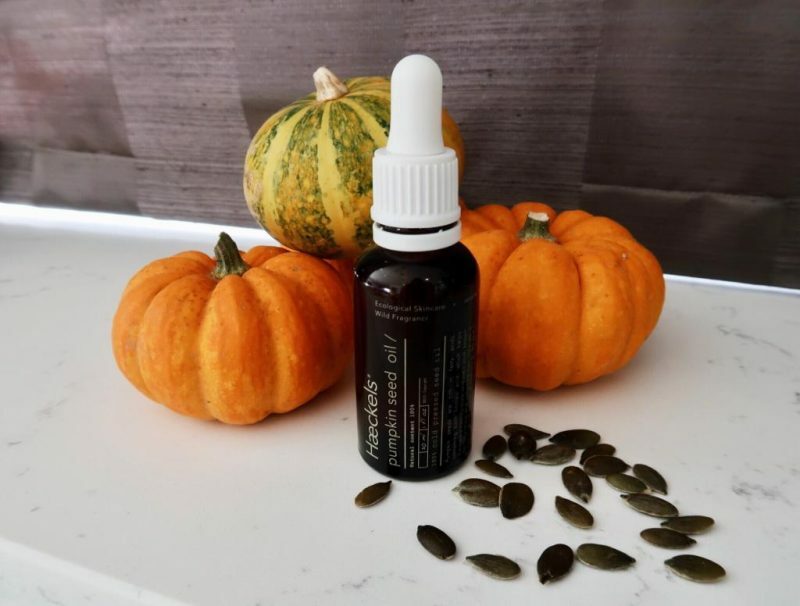 Haeckles Pumpkin Seed Oil – This exciting new product is 100% Natural, Organic and Vegan and doubles up as a nourishing hair oil (bonus!). Use at night with your routine & mornings if you wish. Espa Skin Radiance Mask – Use twice weekly for a truly radiant glow and luminous skin. Superdrug Botanical Lab Pumpkin & Papaya Daily Exfoliant – This bottle gives you soft radiant skin on a budget! Summer Fridays OverTime Mask – Use twice a week to boost hydration & give skin a “blinding brightness. Peter Thomas Roth Pumpkin Enzyme Mask – Use this mask twice a week to leave your complexion looking flawless with a luminous glow and velveteen softness. Oskia Renaissance Cleasing Gel – Use this gel cleanser daily, it melts beautifully into skin and is rich in vitamins and enzymes. Pestle & Mortar Erase – This product is the Cleansing Balm DREAM, it removes all traces of makeup (even stubborn eye makeup) whilst locking in moisture and promoting cell turnover and renewal.